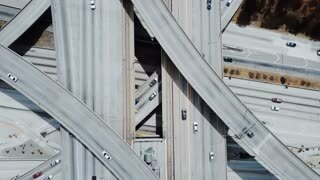 Drone zooming in on amazing Judge Pregerson junction interchange with cars moving through multiple level road flyovers. 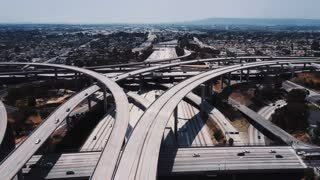 Drone flying left high above big Judge Pregerson freeway junction in Los Angeles with multiple bridges and flyovers. 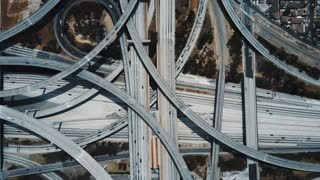 Top view epic drone lockdown shot of Judge Pregerson highway interchange with cars on multiple level road junctions. Drone flying above amazing multiple level structure of Judge Pregerson highway road junction with bridges and flyovers. 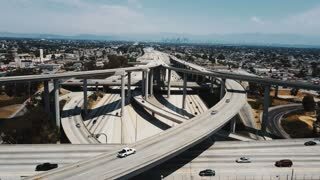 Drone flying backwards above famous American Judge Pregerson road junction with multiple flyovers, freeways and bridges. 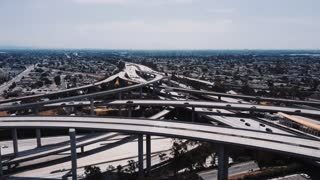 Drone flying around Judge Pregerson highway junction in Los Angeles, cars going over complex flyovers and intersections. 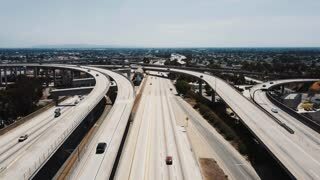 Drone flying over famous Judge Pregerson freeway junction in Los Angeles, California with a metro station in the middle. 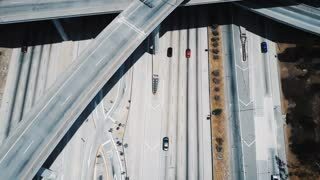 Drone flying around majestic Judge Pregerson highway road interchange in Los Angeles, USA with cars on multiple levels. 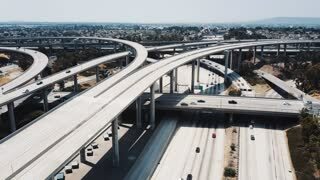 Drone flying above famous Judge Pregerson highway road junction, complex freeway bridges and flyovers joining together. 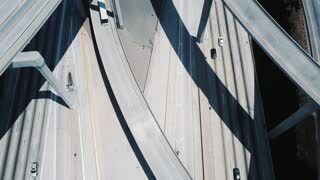 Drone descending near famous Judge Pregerson freeway intersection in Los Angeles, California with many flyover roads. 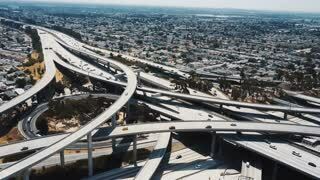 Drone rising to reveal large complex Judge Pregerson freeway intersection in Los Angeles with big residential district.